Despite living in perhaps the wealthiest society of all time, people in our Western world still search for meaning for their lives. The explosion in information is promoted as the answer to our spiritual wanderings. But is secular information the same as the true knowledge of God? This lesson discusses the unique understanding that can only be found in the Bible. It shows how God inspired the various books by different authors, and how to understand the various types of literature found in the Bible. Most importantly, it teaches how to apply its practical truths in our personal lives. God's Word reveals the true values by which we must live if we are to solve our massive relationship problems and the other seemingly insoluble dilemmas that threaten to overwhelm us. The inspired Word of God stands as the solid source of all right knowledge. 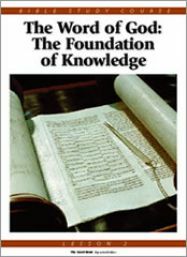 Beyond the basic material knowledge we need for survival, each of us needs spiritual understanding and insight into that special knowledge revealed only by God Himself. In today's world, there is massive ignorance about what the Bible actually says. Many modern Christians are decidedly uncomfortable with the reality of Satan and the biblical accounts of Jesus Christ's encounters with deranged spirits, which the Bible calls demons. But sooner or later we have to come to terms with the truthfulness of Christ's personal witness. Knowledge not built upon God's Word - the Bible - will ultimately fail and disappear. The Bible is composed of written material presented in two sections, traditionally labeled the Old Testament and the New Testament. David was a remarkable leader and skilled organizer. In writing His Word for humanity, God used people from all social levels and walks of life: kings, prophets, priests, scribes, tax collectors, herdsmen, fishermen. 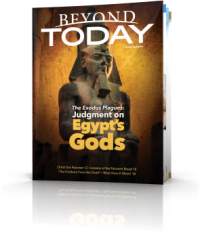 Though God inspired them all, He used their own natural human personalities to help convey His message. Their background stories make for fascinating reading. It is surprising how much the Bible itself reveals about how it came to be put together through God using human instruments. These two parts of God's Word join seamlessly to provide God's complete revelation to mankind. Even though the period between the testaments was more than 400 years, the writings of the Hebrew prophets precede the apostolic writings in a manner that emphasizes their basic unity. Men and women were created "in the image of God" (Genesis 1:27So God created man in his own image, in the image of God created he him; male and female created he them. See All...). Within these words is an indication of the astonishing plan, purpose and relationship He desires with all humanity. Imagine all the abilities and potentialities that being created in God's image confers on us—all the duties and responsibilities, all the magnificence and varied gifts to be used in His service. The books written by King Solomon are part of the Writings section of the Hebrew Bible. 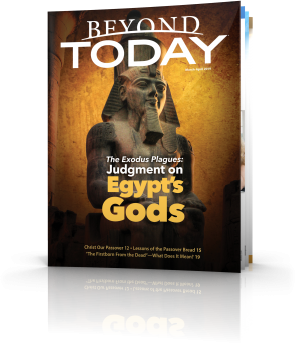 Which skilled author did God use to complete the Old Testament Scriptures? Ezra was "a skilled scribe in the Law of Moses" (Ezra 7:6This Ezra went up from Babylon; and he was a ready scribe in the law of Moses, which the LORD God of Israel had given: and the king granted him all his request, according to the hand of the LORD his God upon him. Isaiah, Jeremiah and Ezekiel are known as the major prophets and wrote the books that bear their names (along with occasional assistance from personal scribes). God's Word is the foundation of knowledge. History shows that through the centuries various people have tried to destroy the Word of God. Early in the sixth century B.C., one who literally "destroyed" the Word of God and paid dearly for his arrogance was Jehoiakim, king of Judah. Jesus Christ said that God's Word is truth (John 17:17Sanctify them through thy truth: thy word is truth. These questions are intended as a study aid, to spur further thought on the concepts discussed in this lesson and to help you apply them on a personal level. We suggest you take the time to write your answers to these questions and compare them to the scriptures given. What prophet is mentioned directly by Jesus Christ in His Olivet Prophecy? Comprehending the true role of the first-century apostles is fundamental to a correct understanding of the New Testament. Can you believe the Bible? What is this book, really? Is it only a collection of ancient legends and literature, as many believe? What about scientific discoveries that "disprove" the Bible? These are crucial questions. Humanity faces challenges that threaten our very existence, yet all too often we ignore the one source that actually has the answers. Shouldn't we, then, check to see if this source really is true? 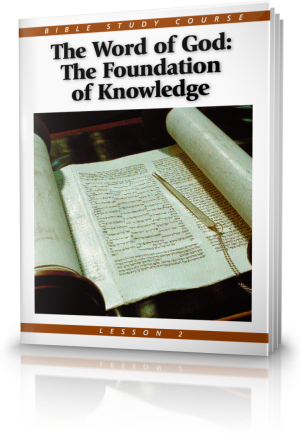 This eye-opening booklet discusses these vital questions and helps you find the answers.